London, Aug 9 - After going down by a narrow 31-run loss to England in the opening Test at Edgbaston, India skipper Virat Kohli believed that his team is positive going into the second Test at the Lord's, starting Thursday. Kohli starred in the opening Test, scoring 149 and 51 but fell short of partners as the team succumbed to a narrow loss in the opener of the five-Test rubber. But the 29-year-old, who rose to his career-best No.1 ICC Test spot after the sterling performance in Birmingham is confident of his No.1 ranked Test team bouncing back in the second match. "It's not like we're getting rolled over -- every Test match that we're playing is competitive," Kohli said at the pre-match presser on Wednesday. "I feel as a team we're just about there. We're in the zone where we're very positive," added Kohli, referring to the 95-run win on their last appearance at Lord's four years ago. 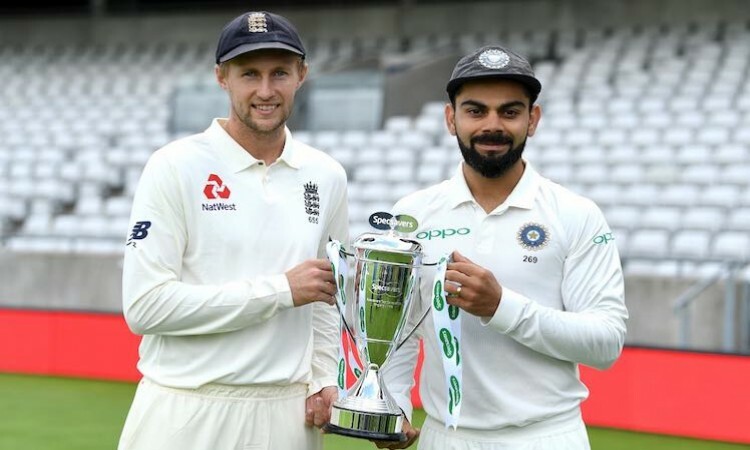 India have not won a Test series in England since 2007.